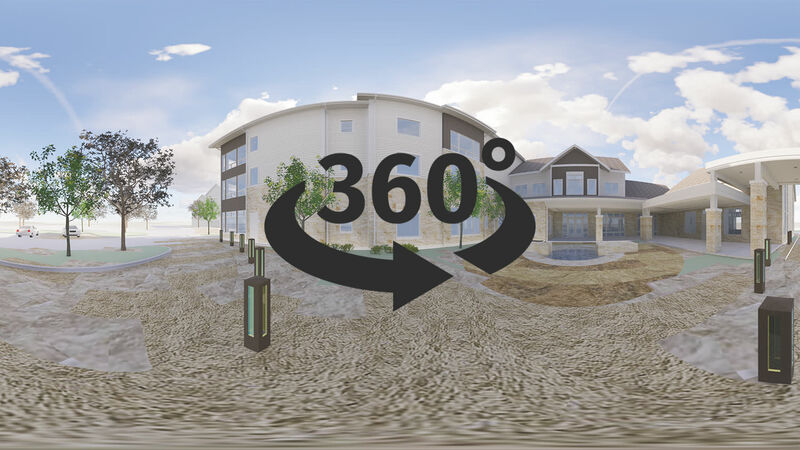 Now, through Virtual Reality (VR) technology, PRDG Senior Living Architecture delivers a 360-degree inside and outside view of your future project months, even years, before you break ground. 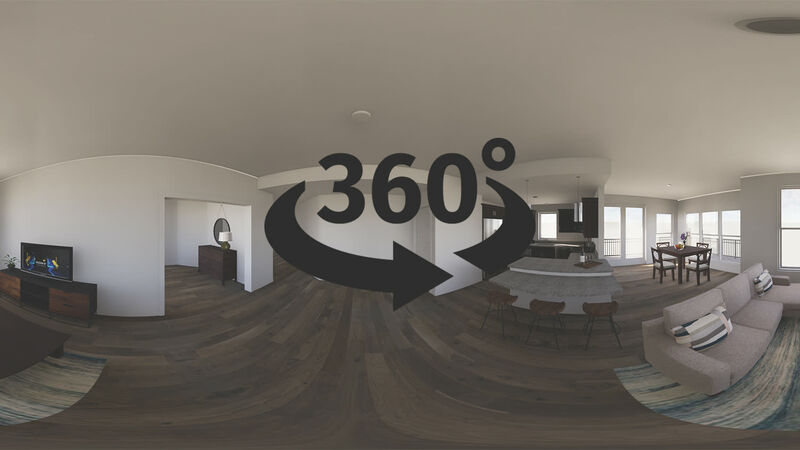 Long the domain of gamers, VR has come a long way in just a few short years to offer architectural clients realistic, wrap-around views of proposed projects to inform and pique the imagination of clients and their many stakeholders. Simplification of finished design presentation to all project constituents. More finite understanding of spatial relationships thought the proposed structure. Realistic experience of easily walking throughout the site, as well as exiting to the surrounding landscape. An actual preview of all finish-out materials in place on every surface—from walls, floors and ceilings to interior furnishings and exterior landscaping. A clear understanding of proportions and scale, as well as lighting and surface textures. Knowledge of convenient placement of windows and doors. Clarity of graphic presentation by eliminating pages of static, two-dimensional drawings. Virtual Reality images evoke the viewer’s imagination and creative understanding more clearly than models. 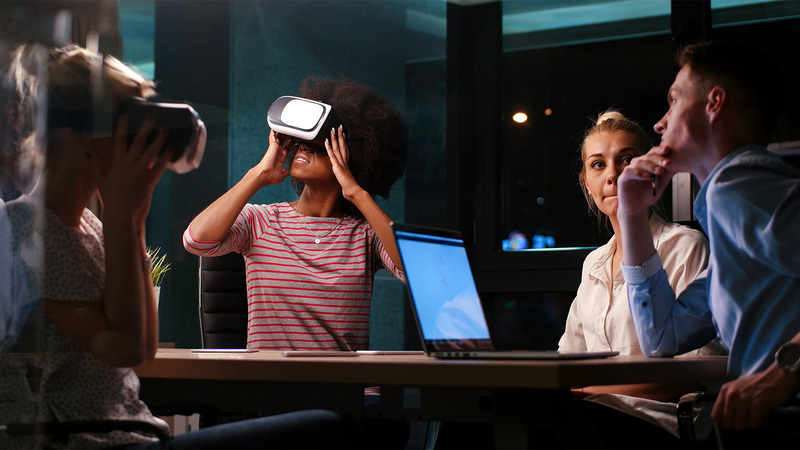 Virtual Reality offers a more contemporary, realistic and sensory way of presenting a project to tenants, buyers, funding institutions, media, and the surrounding community, as well as design and construction teams. By utilizing the marriage of 3-D software and virtual reality technology, the design team saves time, money and materials costs to clients. 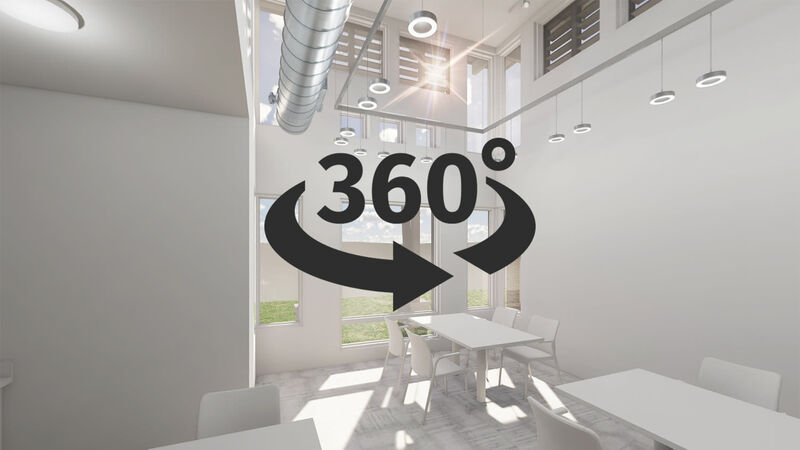 Architects can more quickly get actionable feedback and streamlined reviews from stakeholders because VR clarifies the architect’s project vision and reduces errors early. Problem-solving can happen sooner with clearer vision and understanding of design and mechanical details. Rework cost and time are significantly reduced. Now it’s time for you and your executive team to experience architectural design with vision made possible by Virtual Reality. We invite you to join the PRDG VR Design Team in our Dallas studio for the incomparable experience of seeing the inside and outside of your next project well before it’s built. This first project shows an example of a simple black/white massing model that can be utilized during the SD/DD phases. This gives our client the opportunity to visualize the volumetric properties of the interior spaces during the initial design phases. This example shows a developed unit plan with materials and furniture and gives our client a perspective of the unit plans in virtual reality. This project shows how the exterior of the building can be visualized in virtual reality as well. 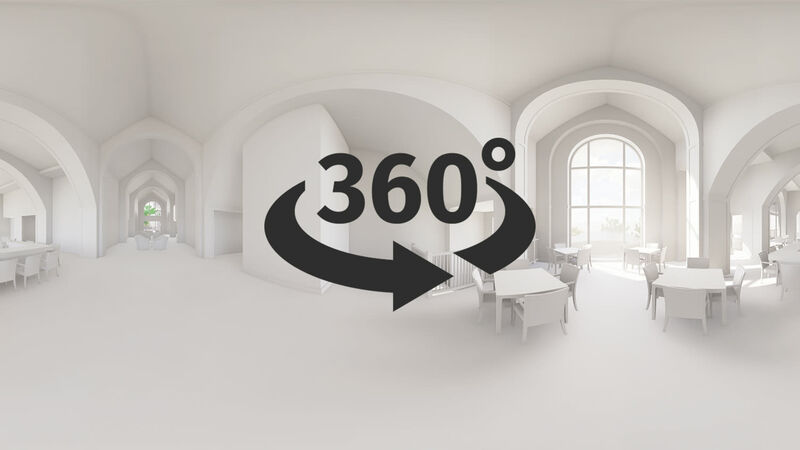 This gives our client the opportunity to study exterior materials, see the entry sequence, see the massing of the courtyards, etc., in a unique virtual reality experience.